If you have never been in-debt, you are one of the lucky ones. If you have been in-debt before, then you will know just how hard it is trying to get out of debt. As the saying goes ‘prevention is better than cure’ and this is very much at the heart of this guide. Whether you have been in-debt before or not, ensuring that you remain out of debt is the real key to success. It should be one of your many goals in life. Often those people who stay debt-free are labelled as ‘no fun’ or ‘boring’. This just isn’t the case. Being financially responsible should never deny you what you want out of life. On the contrary, it is far more satisfying if you can acquire what you like using your own money, finances and sacrifice. Planning your own personal finances is not hard work. Nor is it boring. It actually helps you develop a series of good spending and saving policies. These help dictate, guide and lead how you manage your finances on an ongoing basis. However, it does require a little determination and motivation from you. You may have to fight the urge to spend on occasion, as well as restrict yourself when it comes to borrowing, even if you think you can afford it. Tempting as borrowing is, these spending and saving policies will ensure that you can lead your life debt-free. Again, some words for people are just dirty words. Take ‘habit’ for example. One of the most difficult things you can do when it comes to spending and saving is to establish a new habit. If you have been used to borrowing, over spending or just not saving, entering into a new habit can be tough. Changing your financial habits to fit in with your newly created spending and saving policies may not be easy, but it will be truly worth it in the end. There are some ways you can completely avoid debt. These pieces of advice are best when you combine them. Of course they can work on their own, and on their own merit. But, for the best results, you should look at doing them all. Managing and maintaining a budget, that works for you, is an essential component of ensuring that you stay debt-free. You can achieve this in a number of different ways. Tracking your spending for a few months will show you just how much you are spending and, more importantly, on what. You can then split your payments into different groups such as; bills, food, entertainment, luxury etc. After a few months of tracking what you spend you should be able to work out exactly what is essential and what is not. Once you have tracked your expenditure for a few months and decided on what spend you are keeping and what you are sacrificing, you can then place it against what income you have coming into your household. Whatever money is not spent can be put into a separate savings account for rainy days. Even if you are working full time, and you feel that you need some extra income, you can apply for some part time work. This will top up your household income which, depending on your current financial state, will allow you to spend a little more or save a little more. If you are in-debt already, an extra job is just as much as a solution to clear debt as consolidated loans. However, there are more important things in life which you should consider before choosing to work an extra job. Think about how working an extra job will affect your family life, your current full time job and your mental health. Taking on an extra job can be very demanding, so you need to think about the impact it will have on you and your family before you take it. Being debt-free is nowhere near as important as your family life and your own health, so think about things carefully before committing yourself to an extra job. You may think that this is a red herring, but you would be wrong. A credit card can offer you a number of different benefits providing you already have existing good spending habits. 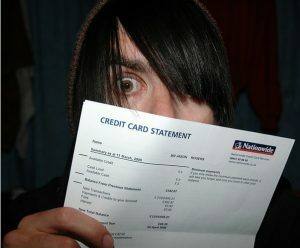 Getting the right credit card that fits in with your life and your lifestyle is vital. There are a number of credit card providers and types available that could offer you great discounts and savings on travel or groceries. Pick a credit card that is right for you and make it work hard for you too. This may seem like an obvious one, but just take a moment and go back to what was discussed earlier. When you are putting together your spending and saving policy, you may remember that the main aim was to put away the money, left at the end of the month, into a separate savings account. This sum of money may prove vital, especially a little later down the line. As you make regular contributions to your savings account, the sum grows. You start to gain interest on the amount in the savings account, meaning that you get given money for nothing. If something was to ever go wrong, or you just wanted to splash out on something that you couldn’t afford out of your income and expenditure, you can use your savings. If you have saved enough, you could buy whatever you wanted. If you need to fix your automobile, use your savings. If you want a new TV, use your savings. Using your savings in this way will make you feel great. You have saved for this yourself and you have not gotten into any debt because of it. Of course, the best way to stay debt-free is to manage what you have as effective as you can. An ‘I can do it’ attitude is needed, as well as a sensible approach to managing your money. Combat Mounting Debts – Is Debt Settlement Really Worth Getting Into?